SEATTLE –Joan Cole Duffell, executive director of Committee for Children (CFC), the global leader in research-based social-emotional learning (SEL) programs, has announced her plans for retirement after 35 years at the organization. Duffell will continue with CFC through the leadership transition to ensure a smooth and successful onboarding for her successor. Although she has served in various leadership positions at CFC over the past 35 years, Duffell has led as executive director since 2007, making her the longest-serving executive director in the organization’s history. During her tenure at the helm, Committee for Children has become a global leader in research-based educational programs that promote social-emotional skills and prevent bullying and child sexual abuse. The organization’s flagship SEL program, Second Step for PreK to Grade 8, is now taught in over 30% of US schools, plus tens of thousands more schools across the globe. 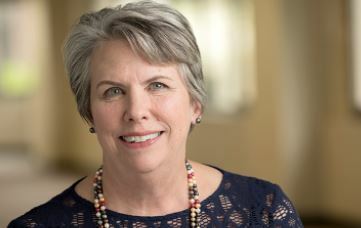 Duffell, a lifelong community activist who has been committed to improving the lives of children throughout her career, has also advised numerous Catholic dioceses and the US Conference of Catholic Bishops in their efforts to implement research-based sexual abuse prevention programs. She has received several awards and recognitions for her work at CFC, most recently, the 2018 Mary Utne O’Brien Award for Excellence in Expanding the Evidence-Based Practice of Social and Emotional Learning from the Collaborative for Academic, Social, and Emotional Learning (CASEL). In retirement, Duffell is excited to spend more time with her four kids and five grandchildren, as well as travel the Pacific Northwest—and the world—with her husband, Denny. She also plans to remain engaged in the advancement of evidence-based social-emotional learning and child protection. Hamack and the board’s Search Committee chair, Jon Reingold, have engaged the consulting firm Russell Reynolds to facilitate the national search for the new executive director. Application details will be advertised in the coming weeks. For additional information, or to provide recommendations regarding the search, contact Russell Reynolds via email at CFC@russellreynolds.com. Committee for Children is a nonprofit on a mission to ensure children everywhere can thrive emotionally, socially, and academically. Best known for our innovative social-emotional learning (SEL) curricula that blend research and rigor with intuitive program design, we empower children and their adults with skills that help them realize their goals in the classroom and throughout their lives. Since 1979, we’ve been connecting experts in the field to share experiences and advance the cause of educating the whole child. A force in advocacy, we’re helping pass policies and legislation that place importance on creating safe and supportive learning environments. Today, our programs reach more than 14 million children in over 70 countries worldwide. By lifting up children today, we’re helping them create a safe and positive society for the future. Learn more at cfchildren.org. Connect with Committee for Children on Facebook and Twitter.